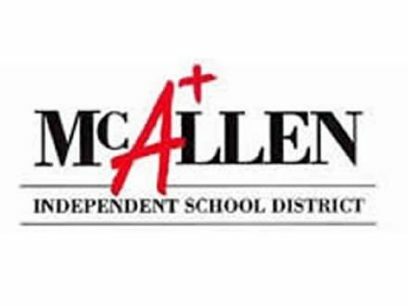 McALLEN — The seven candidates for the McAllen Independent School District board of trustees have turned in their final campaign reports showing some decrease in spending and contributions for most candidates. The three candidates seeking the open Place 3 seat are Debbie Crane-Aliseda, Raul Moreno and Mark Dougherty, who are all showing similar patterns of spending and contributions. Aliseda reported spending a total of $5,042.51 mainly in campaign advertising expenses and reported receiving a total of $4,700 in campaign contributions. This puts the former McAllen ISD trustee at a total of $15,628 in expenditures throughout the entire campaign and $18,700 in contributions. First-time candidate Moreno’s latest report shows a total of $1,947 spent, also in advertising and some donations. A total of $1,940 was reported in contributions. The latest numbers put Moreno at a total of $11,665 in campaign expenditures and $19,440.60 in contributions. Dougherty’s latest report shows his latest expenditures total $1,199.49, also for advertising and donations. The contributions were reported at $4,000 this time around bringing him to a total of $20,040 in contributions and $14,254.60 in expenditures. For Place 6, incumbent Larry Esparza has one challenger, Homer Martinez. The two have been night and day as far as campaign costs and contributions, with Martinez higher in both areas. Even though Martinez’ last report seems similar to that of the other candidates in contributions with $4,300 reported, his expenditures for the last few weeks are again well ahead of everyone else at $14,150.52, mainly in high advertising costs and some donations. This brings him to a campaign total of $33,070.46 in contributions and $27,166.18 in expenditures. Esparza has remained on the modest side with his campaign in comparison to his opponent. The incumbent reported receiving a total of $4,500 in contributions, with expenditures of $3,336.41 in final advertising costs. This puts him at a total of $17,675 in contributions throughout the entire campaign and $9,744.15 in expenditures. In Place 7, incumbent Sam Saldivar is running against newcomer Lynse Guerra. The two have kept similar spending patterns but the incumbent has been able to gather more monetary support. For the last weeks of the campaign, Saldivar reported receiving $3,650, which coupled with the first report brings him to a total of $15,069.92. As far as final advertising expenses, the last report shows a total of $5,044 spent, putting him at $10,607 for the entire campaign. Guerra, who is running her first campaign, reported the final campaign contributions at $5,200, bringing her to a total of $13,245 for the whole campaign. Her final expenditures were reported at $3,649.34.